The Managing Safely Refresher is a practical and engaging one-day course that keeps employees’ Managing safely training up to date. Prerequisite(s): Please note that delegates must have achieved the IOSH Managing Safely certificate previously to be able to attend this course (a copy of the delegates certificate is required for verification). Delegates get to refresh their knowledge on the key parts of the full Managing safely course, there’s also a much greater emphasis on monitoring, auditing and reviewing, which is learned through two practical case studies. Please note that delegates must have achieved the IOSH Managing Safely certificate previously to be able to attend this course (a copy of the delegates certificate is required for verification). Please note that delegates must have achieved the IOSH Managing Safely certificate previously to be able to attend this course (a copy of the delegates IOSH certificate is required for verification). The assessment for this course is a single closed booked question paper which covers the course learning objectives (there is no practical assessment for the IOSH Refresher course). An IOSH Certificate will be awarded to successful candidates. If you’re an employer looking to make sure that the IOSH Refresher course delivers a return on your investment, or an employee seeking to make a business case for the safety training budget then look no further: we’ve outlined the key reasons why this IOSH Managing Safely Refresher certificate is good for business. – The IOSH Refresher course is a cost-effective way to keep your IOSH Managing Safely Certification up to date. – Retaking the standard IOSH Managing Safely training is much more expensive and time consuming. – The IOSH Refresher course will ensure that you keep up with ever-changing health and safety legislation and best practice. – It enables managers and supervisors to meet – and exceed – their statutory obligations. – Your business will make a positive contribution to an ongoing safety culture and programme. – Build employee confidence in the safest standards of the working environment. – Build stakeholder confidence in health and safety best practice. 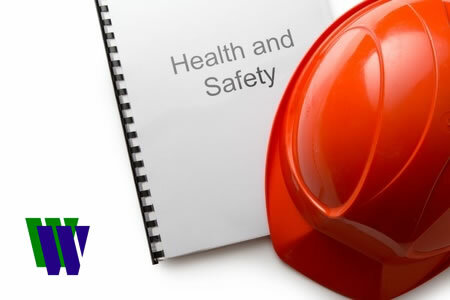 – Ensure employee compliance with health and safety policies as well as legal requirements. – Think you can’t afford safety training? Then you certainly can’t afford an accident. This classroom based course takes 1 day. The price includes the course text book, additional notes, IOSH fees, refreshments and lunches. This course is available in-house. Please contact us for a quote. E-Learning course not currently available.